The scientists' and experts' journey to the Novaya Zemlya archipelago organized by the Russian Federal Service for Supervision of Natural Resources (Rosprirodnadzor) in order to deal with the invasion of polar bears has been rescheduled to Wednesday due to bad weather conditions, TASS reports citing Head of the Rosprirodnadzor‘s Arkhangelsk Region office Alexander Gornikh. A mass invasion of polar bears in the Novaya Zemlya archipelago caused to declare a state of emergency there on February 9. 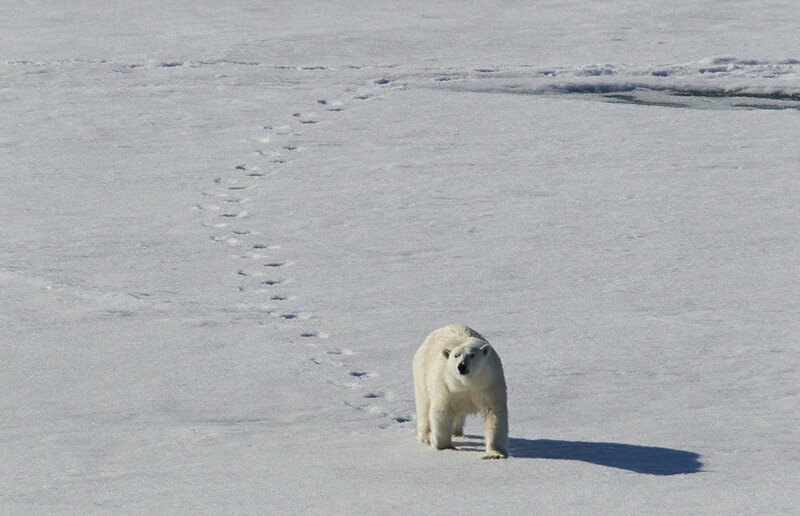 A total of 52 polar bears were spotted by the township of Belushya Guba alone. There have been cases of the wild animals' acting aggressively and breaking into houses and office buildings, TASS reports. "Our group of experts failed to fly to the Novaya Zemlya archipelago due to bad weather conditions," Gornikh said. "The flight has been postponed until tomorrow (February 13)." The group includes experts from the Russian Academy of Sciences' Severtsov Institute of Ecology and Evolution, Rosprirodnadzor and the Russian Arctic National Park.